My Jamie Oliver At Home Dvd Review. I was recently sent a fabulous set of 6 Jamie Oliver At home Dvds.Each one contains a new ingredient from Jamie's garden too be used in his yummy home cooked meals.Over the last few years Jamie has been spending most of his spare time at home,growing things in his garden and getting totally inspired too cook with all his own produce.Throughout out the 6 dvds we see a whole range of lovely meals we can cook from wintery stews,thick soups and pot roasts - real comfort food. 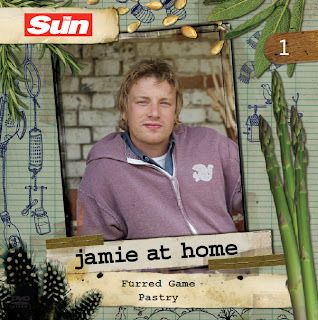 You can also own this whole series of Jamie's At Home (12 episodes on 6 dvds) with a promotion that is now being run by the The Sun Buzz Magazine . All you need too do is purchase the Sun Newspaper everyday this week to get your instant redeem vouchers and take them too Tesco too collect your dvd. What a fab offer! I also have a full set of these fantastic dvds up for grabs in my newest giveaway and all you have to do is simply leave a comment below telling me you're favourite on TV chef? And leave me a way too contact you if you win. For an extra entry you can tweet the following and then come back and leave me a comment saying that you have done so. 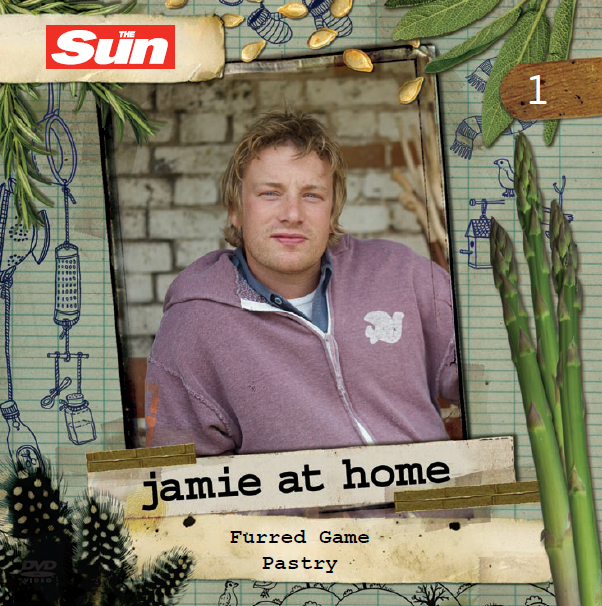 "Win the whole series of Jamie At Home on 6 Dvds with @v82chris http://t.co/MqxGWAx "
The WINNER is number 2! Thank you to everyone who entered and please make sure you enter my lovely make up and accessories giveaway which is still running until next Sunday above. Hugh FW I think because of his ethics and his emphasis on quality, but I enjoy watching lots of them. I'd have to go with Si and Dave the Hairy Bikers. Love the Mum's Know Best series. Also loving Lorraine Pascale's Baking Made Easy series too. my fav is either jamie or Michel Roux in Masterchef professional. My fave has got to be Heston Blumenthal, he loves making things out of the ordinary!! Jamie and nigella as they make recipes quick and easy to follow ! Follow on twitter as @sandyhallett have also tweeted the link. I'm with you on liking Jamie Oliver. He's the only chef I've watched regularly since his Naked Chef days. I love the fact he's done so much good for so many youngsters and school dinners both here and in USA. I also like Hugh even tho' I'm vegetarian just for his general approach to life and cooking. My final favourite isn't really a chef at all - Sophie Dahl! Just loved watching the little window into her world filmed as she was cooking some lovely dishes which looked as good as she did! Will also tweet your comp and I'm @Brackenheart on Twitter. Hello all,x This giveaway is now closed. third the one with the hairy chest!